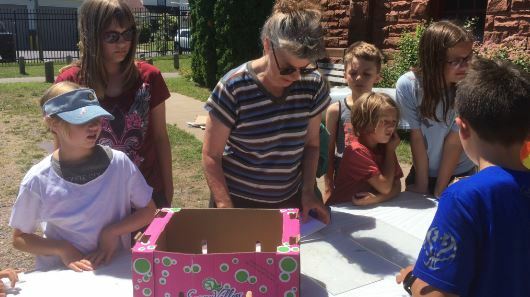 MARQUETTE — Local kids got a chance to get creative while learning a little about the history of Lake Superior. The Marquette Maritime Museum hosted a free pop–up art project called Life on the Lake: Shipwrecks of Superior. Kids from the Marquette area stopped by to create artworks of shipwrecks through printmaking. In collaboration with the Liberty Children’s Art Project, the event was designed to give kids a neat theme for their project. Kids started with a sketch of their shipwreck before rolling paint over it to create the print.